fically developed for industrial/commercial applications and incorporates design features to weigh accurately under all conditions. The QTLTSC is one model in a long line of reliable, robust forklift scales from Avery Weigh-Tronix going back over 25 years. Fully featured, high capacity, industrial crane scale for heavy duty applications. 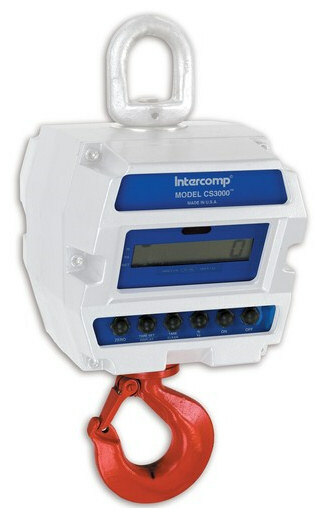 This scale is modeled after Intercomp's own CS5000 Crane Scale, but offers a high visibility, 1"/25mm LCD Display and infrared remote control, standard. 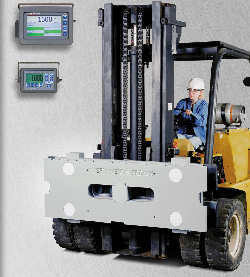 Capacities range from 500lbs/250kg to 100,000lb/250 to 45,000kg. Crosby S-1 swivel hook for dynamic loads. From our traditional physician's scale to our latest electronic scale with multifunction digital indicator, we have a model to fit your needs; and all are built with both patient and operator in mind when it comes to comfort, style and ease of use. .The Cardinal Guardian Tank and Hopper Mounted Scale Systems are designed to keep weighing accurately even in the harshest conditions and are the most reliable tank and hopper scales on the market. 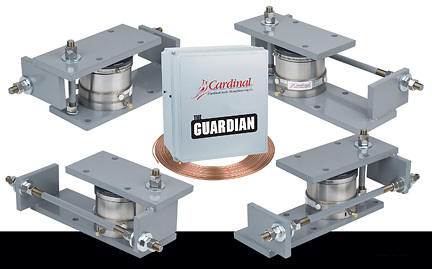 Constructed in 300 series stainless steel, Cardinal's hydraulic load cells are built to last a lifetime and require no electricity within the scale itself. All of this extreme-duty protection means one thing, big savings over the life of your weighing vessels. Our overhead track scale is available with your choice of three rail lengths - 24", 30" and 50" - making it easily adaptable to most any rail hanger spacing. Its rugged construction ensures years of continuous, trouble-free use. Non-corrosive stainless steel material provides easy cleaning and washdown when desired. 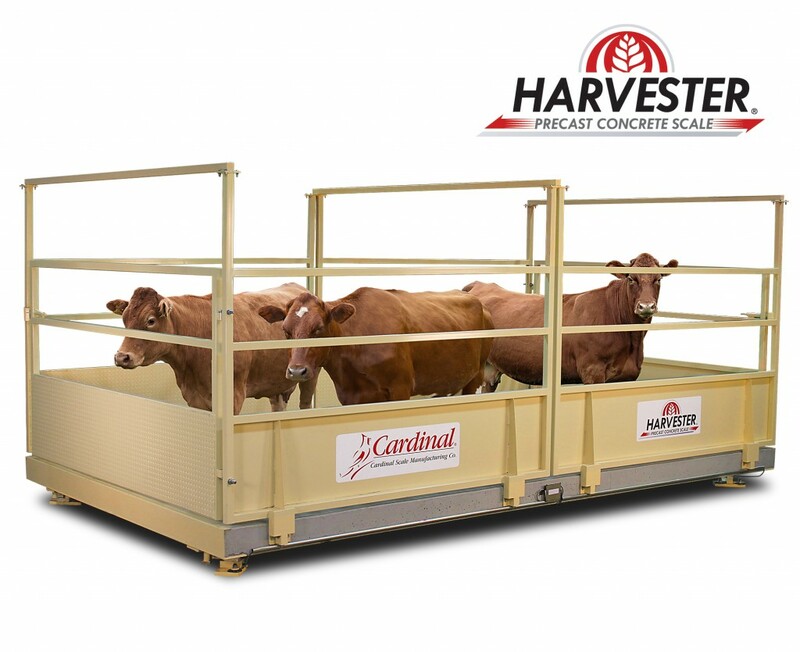 Ideal for stockyards, feed lots, and private farms, Cardinal’s Fully-Electronic Harvester Livestock Scales feature patent-pending solid concrete decks and include livestock pens and two-end swing gates with easy-close latches (arrives factory assembled). The brushed concrete deck provides sure footing for livestock. The one-inch-high gap between the concrete deck and steel livestock pen allows space for easy washout cleaning and is not visible to cattle from above. The LSC series utilizes Cardinal’s 20,000-lb model SB stainless steel shear beam load cells which feature superior welded waterproof seals and protection against caustic, corrosive environments. Available in 12.5 or 25 ton overall capacity. USA-manufactured. The DDC9600 Labeling Controller is modular in design allowing it to be interfaced to many popular scale indicators. It's unique and advanced programming incorporates features most frequently requested in the meat packing and food processing industries. The DDC9600 combines the simplicity of a menu driven configuration and the power to design a label format suitable to the customer's operation. As a stand-alone workstation, the DDC9600 is clearly the leader in features, quality and value. Award winning I-Class is a comprehensive, cost-effective industrial barcode printer, offering reliability and flexibility. With its revolutionary modular design, most I-Class options are field installable. I-Class printers are ideal for Shipping & Receiving, Product Identification, Pharmacy labeling, and Asset Tracking. Easily interfaces to DDC9600 Labeling Controller. Epson Dot Matrix Ticket Printer prints up to 2.1 lines per second. Its features include insert ticket and multi copy printing. It interfaces with many indicators via a RS-232 serial port. Character size is 2.9 mm x 1.6 mm and the printer has 35 columns. 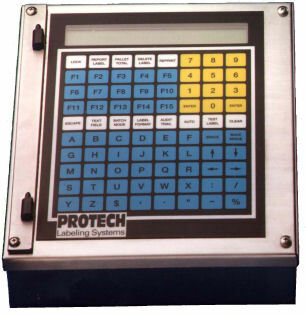 Utilizing "switch on the fly" functionality to act as both a secondary weight display and a messaging sign board, the Aurora Alpha 12 is the best choice for communicating scale data, driver instructions and other important messages for controlling plant operations. While the industry's most advanced Auto-learn instantly displays scale data, message commands can be transmitted simultaneously from high-end indicators, PCs or other scale control devices. The automatic scrolling feature with variable speed adjustments makes messages of any length easy to read. Cardinal's giant SB-500 remote display has 5-inch (127-mm) high dual-row digits for greater readability. The high intensity LED is viewable in direct sunlight with a viewing angle of +/- 70 degrees. The weatherproof enclosure meets IP65 requirements and incorporates mounting tabs allowing it to be mounted on a vertical surface.